BOB DYLAN: TEMPEST: 2012: 4 1/2 STARS OUT OF 5 STARS: The last Dylan album- at this point of new material. If I were a betting man I would bet this won’t be his last. Long songs- 10 songs clocking in at 68:31. This is one of the darkest albums in the Dylan catalog. 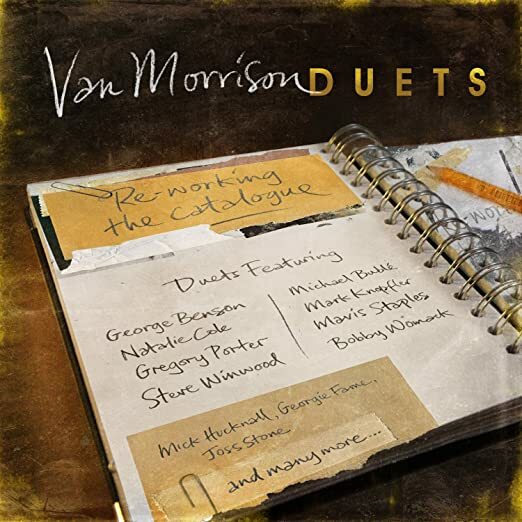 VAN MORRISON:DUETS: RE-WORKING THE CATALOG: 2015: 3 STARS OUT OF 5 STARS: Van goes back to some of his older- but for the most part not his most famous song- for 15 duets. In no case is the re-workings here better than the original. A nice listen but not a threat to ever be one of the Van albums I play often. 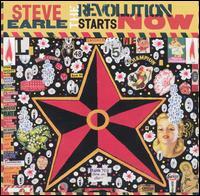 STEVE EARLE: THE REVOLUTION STARTS NOW: 2004: 3 1/2 STARS OUT OF 5 STARS: Won a Grammy for best contemporary folk album. Different versions of the title track starts and finishes the album. Again Steve goes political. I don’t know how Condi, Condi stands up 14 years later. In some ways this seems like a sequel to 2002’s Jerusalem. Highlights other than the title track- Rich Man’s War, I Thought You Should Know, Home To Houston. I agree…I would not bet against Dylan coming out with another album of just originals. I wonder how many songs he has left over from the last 50 years? I bet he has years and years worth of material stored for his bootleg series. I’m gonna say my three most favourite Dylan albums are – DESIRE (1976), EMPIRE BURLESQUE (1985) and KNOCKED OUT LOADED (1986). I would agree with you on Desire!